Summary: 29 At least the parking was free. ‘Tis the season for candy, hayrides and pumpkin patches. It is also one of my top four favorite seasons. Along with the beautiful blended colors of fall comes the joy I see my son having while finding his way through a corn maze, racing pedal tractors, playing in corn pits and shooting apples through an air-compressed launcher. I get to wonder at the fun and adventure my 5-year-old finds in everything. Also, he’s too busy building hay huts with messy, muddy hands to pay attention to the silent tears of an empty wallet from the overpriced play time at the Orr Family Farm, at 14400 S. Western Ave. in Oklahoma City. I love fall. I love my son. I love watching my son have fun in the fall festivities that come with the season, but the cost of admissions for pumpkin patches, hay rides and other cahoots makes me hesitate to fill our free time with all the activities. 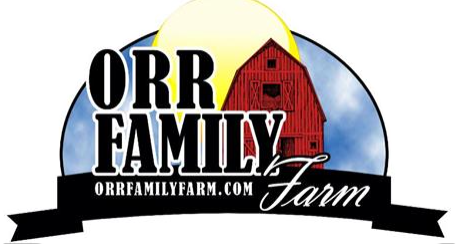 For just my husband, son and me it cost a grand total of $55.50 to visit Orr Family Farm on a Saturday. That is $18.50 per person. No children’s prices. Of course, going on a weekday could have saved us $11, but between work and school, we don’t have time during our weekdays. I mean, who really does have that kind of time Monday through Thursday? Those prices were for the admission plus the corn maze. Without the corn maze the price was $13.50 per person with the maze being $10 alone, but what fun would it be to not get lost in corn stalks? Plus, we still had to pay separately for the pony rides, animal feed, zipline fee and other activities on site. I understand they have staff and bills, but the pedal cars are powered by the pain and gain from pumping the driver’s legs, basketballs are thrown to the basket by the shooter’s own arms and most of the games required little to no expense. At the end of it, my son had a good time with his cousin and it made for a good family day. I just wish my wallet agreed. At least the parking was free.